protection then just crack. Sustained 5.7 moves. 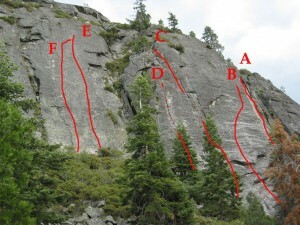 Can toprope and descend with a 70m rope (otherwise you must carry two ropes). Which SuperTopo guidebooks include a topo for Hogwild?